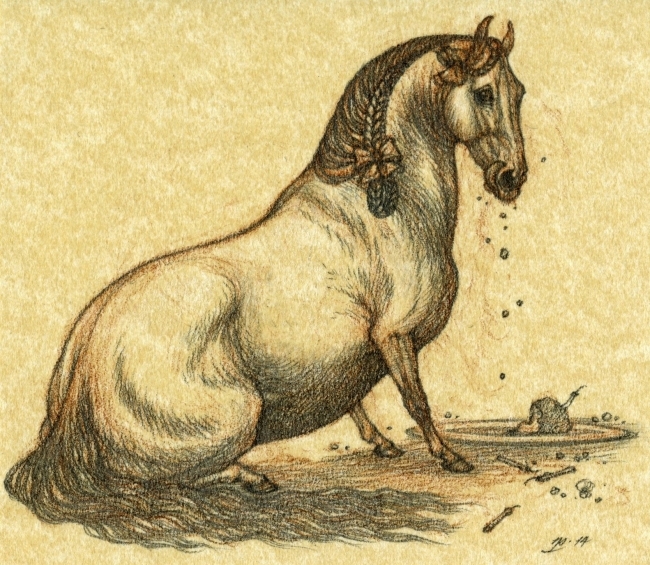 Pudgy Horse and I thank you for your support. 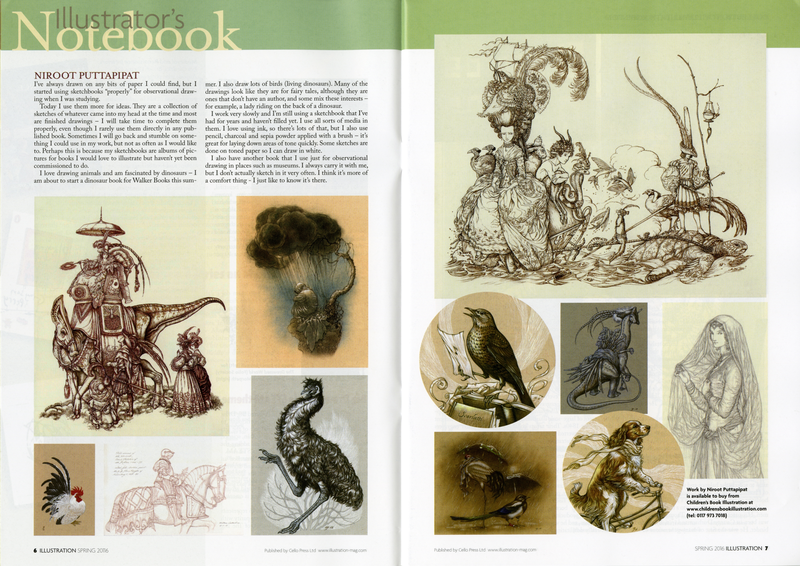 I have a spread in the Illustrator’s Notebook spot of the current issue of Illustration Magazine (UK, Spring 2016, Issue 47). Thank you so much to Linda Owen-Lloyd of Children’s Book Illustration for suggesting this feature, and to Ruth Prickett, the magazine’s editor! Oh, dear, I’ve been busy and have neglected the blog again. Allow me to post this quick stopgap to keep it ticking over. Pencil on ‘parchment’ paper, 89 x 101mm. Drawn yesterday for my friend Ingunn of Mosjøen, Norway, and for Charles Darwin (though mostly for the former, admittedly); they share a birthday. Pudgy Horse wishes a happy birthday by eating the cake. This sketch also handily becomes another piece for the Year of the Horse. The plaited mane (because it was a special occasion) was drawn after the historic Lipizzan horses as painted by Johann Georg von Hamilton. 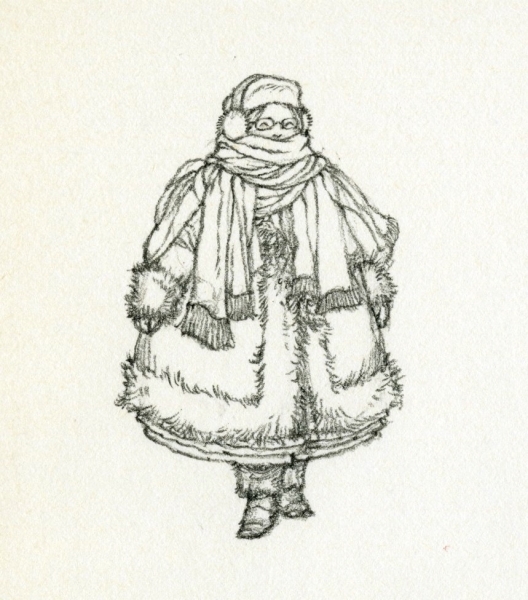 My friend Nancy of New Jersey reported being obliged to wear ‘about twenty layers’. This was what I envisioned. Very quick pencil sketch, approximately 70 x 80mm. 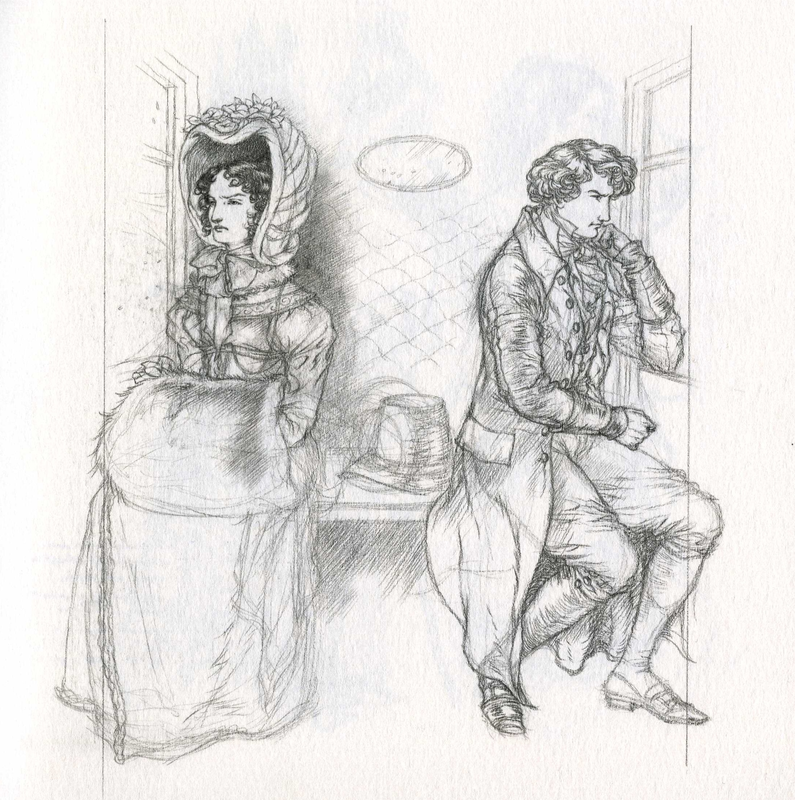 In honour of Jane Austen’s birthday, a study of the Bennet sisters, sketched at the time I illustrated Pride and Prejudice for The Folio Society (2006). It remains a personal favourite of mine, even though most of the illustrations for the book itself (with perhaps one exception) turned out poorly. 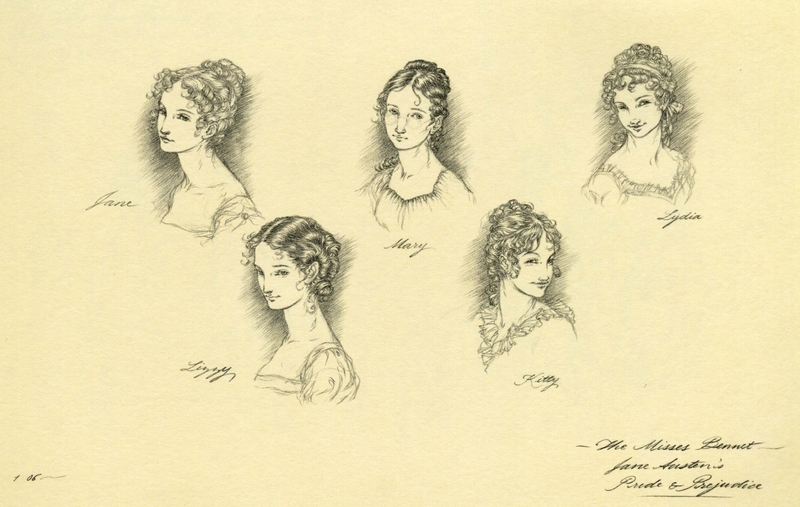 In truth, I am unhappy with most of my efforts on the three Austen titles I did for Folio. A number of unfortunate circumstances at the time together with my own lacking abilities then did not help. 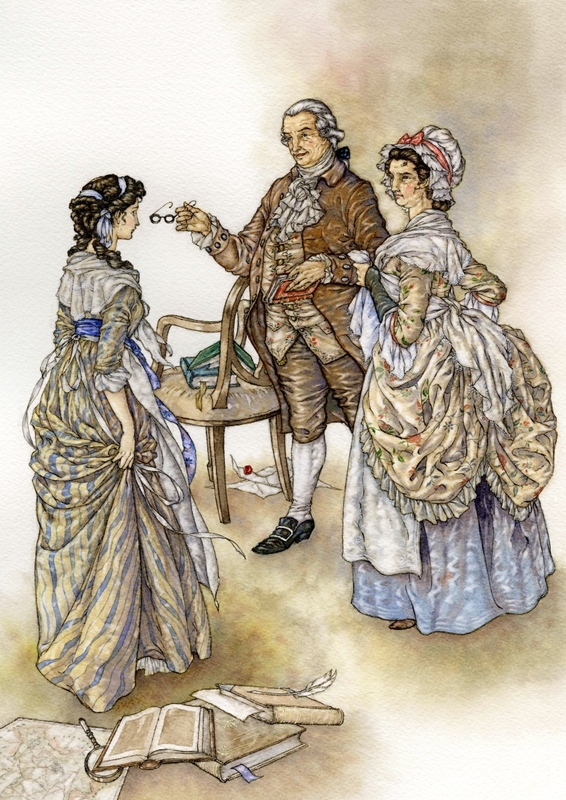 I still long for the opportunity to redeem myself in illustrating Austen again. Cafe/pub doodles on a Moleskine leaflet. 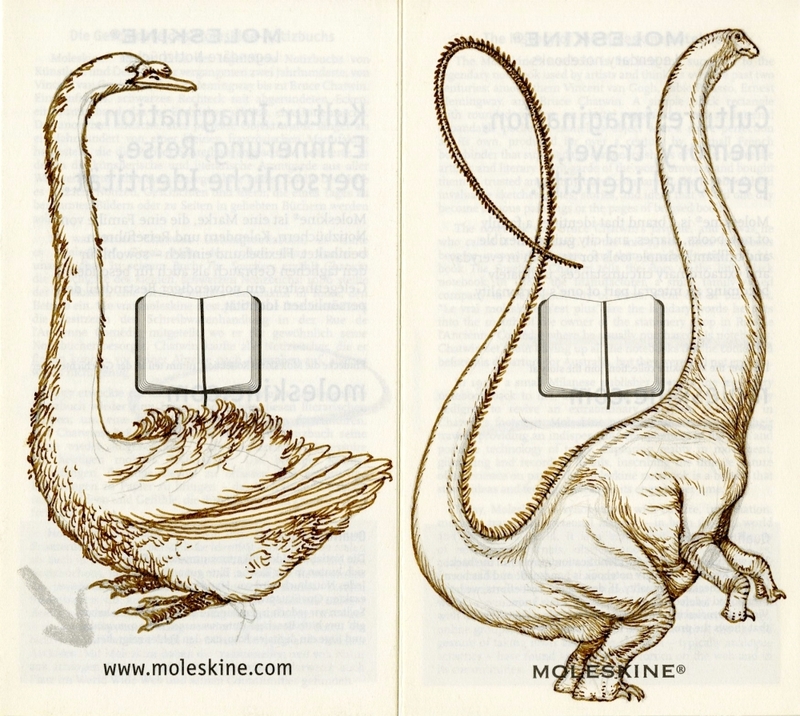 The swan was drawn at Wetherspoons Victoria and the diplodocid in the cafe of Waterstones Piccadilly. Brown ink and gouache on recycled paper, 111 x 162mm. 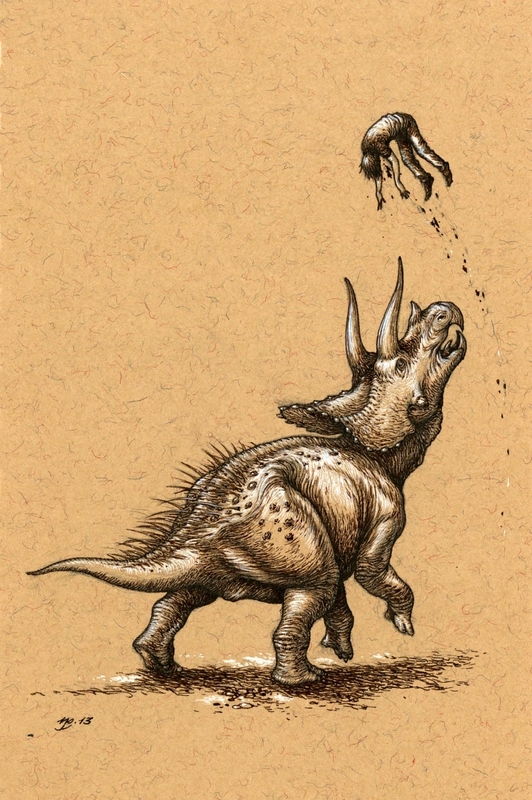 The palaeontologically informed among the readers won’t need any explanation, but this silliness was prompted by the recent re-surfacing of the ‘Triceratops didn’t exist’ issue. Triceratops isn’t going anywhere. 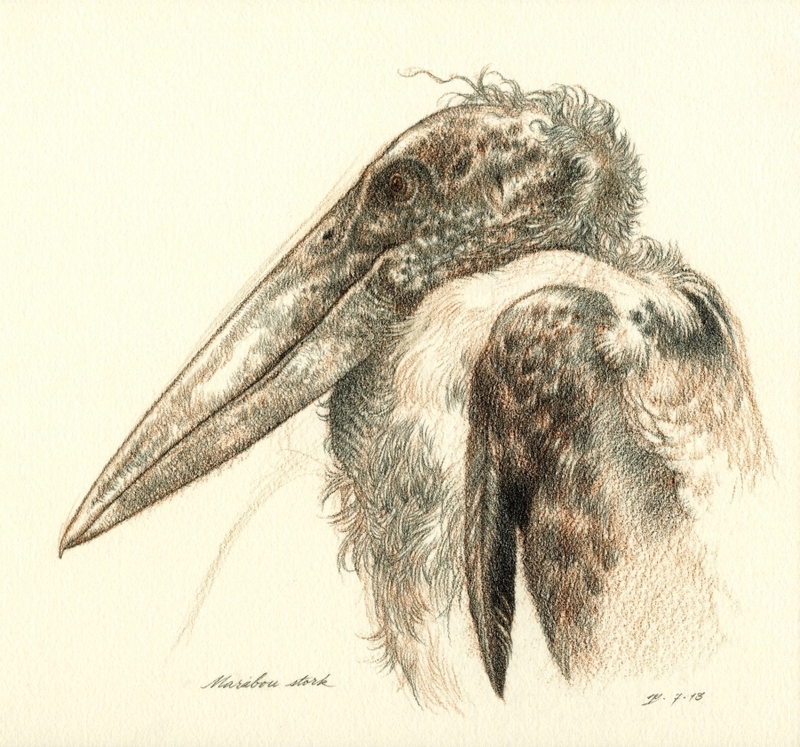 Brown and graphite pencils in Stillman & Birn Gamma sketchbook, approximately 15.2 x 16cm. Based on photographs I took on a visit to Birdworld earlier this year. 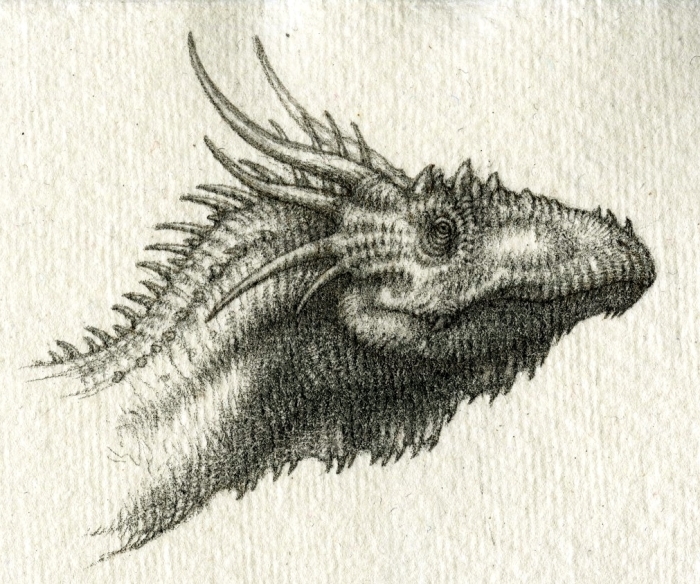 My dragons are little more than ornamented theropods. Not terribly inventive, but fun to draw. This is another of those drawings which began as a warm-up/doodle, but which, as someone wonderfully described, ‘got away from me’. Pencil on handmade Khadi paper, approximately 8.5 x 7cm.